25 Gram Bag(s) of the Yellow Green Flip Paint Kolorshift Pearls. Heat tolerance of 400ºF. 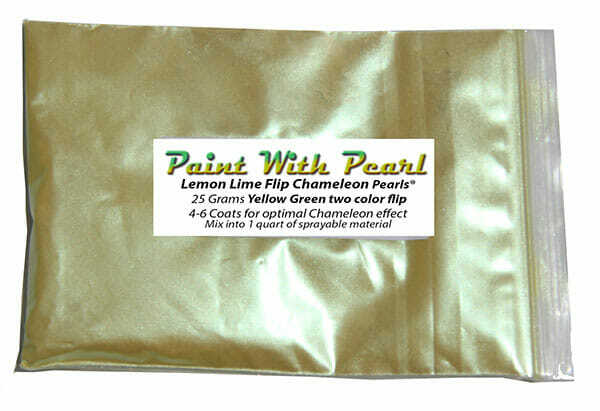 This 25 gram bag Lemon Lime Yellow Green Flip Paint Kolorshift Pearls powder is a great pigment for creating your very own tinted clears in paint or powder-coating applications. 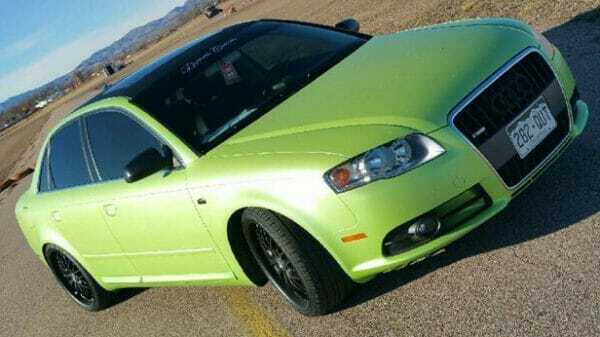 Creates a mysterious finish that goes on green at first, and with more coats will change to yellow at different angles and in different lighting conditions. It is guaranteed to mix well with any clear paints or tinted kandy paints, and has a temperature threshold of about 400 degrees fahrenheit. It is a very fine powder and will spray well through airbrushes, powder guns, and HVLP paint guns. It is very light, so it stays well mixed in paint without settling too fast in your gun, and can make great tinted clears for light to heavy effects (it’s your choice). One 25 gram bag treats from 1 to 2 quarts of clear. 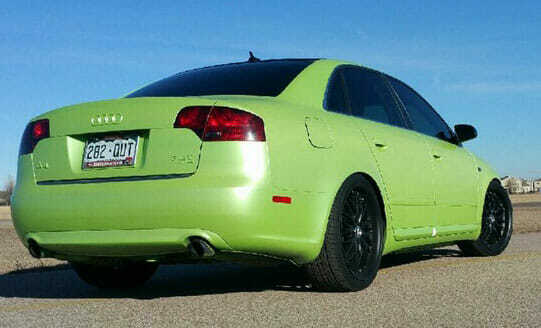 Our Lemon Lime Yellow Green flip paint is actually completely different depending on the base color. Using our lower priced “Flip Pearls”, you can save money on a Kolorshifting kustom paint job. This kustomer favorite is the Yellow Green flip paint pearl. Gold Satin Ghost Pearl - 1600 Degree Temperature Threshold, Protects Base colors while adding incredible effect. Works in all clear coatings. 1 Bag Treats a gallon of ready to spray paint. 25 Gram Bag(s) of the True Chameleon 4739TBP. Heat tolerance of 400ºF. Results vary in matte or gloss finishes. Orange Satin Ghost Pearl - 1600 Degree Temperature Threshold, Protects Base colors while adding incredible effect. Works in all clear coatings. 1 Bag Treats a gallon of ready to spray paint. 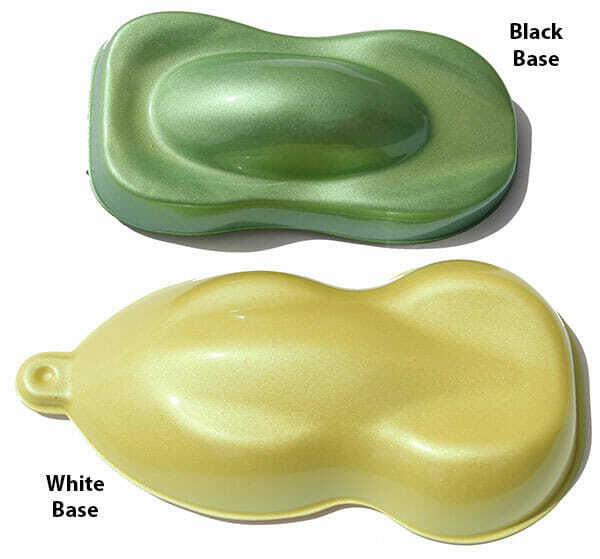 Green Satin Ghost Pearl - 1600 Degree Temperature Threshold, Protects Base colors while adding incredible effect. Works in all clear coatings. 1 Bag Treats a gallon of ready to spray paint. Gold Crystal Ghost Pearl - 1600 Degree Temperature Threshold, Protects Base colors while adding incredible effect. Works in all clear coatings. 1 Bag Treats a gallon of ready to spray paint.